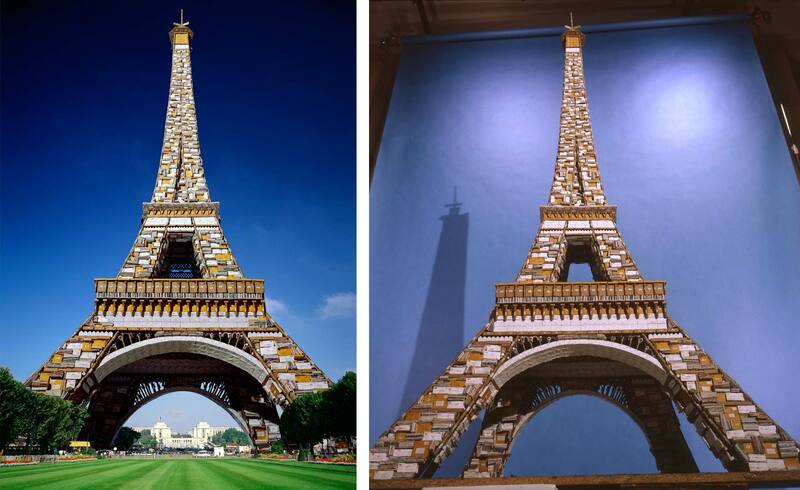 The Eiffel Tower of mail was built by PropArt to exactly match the real thing. It needed to be over 6' tall to build in adequate detail. It was shot to exactly match the positioning in a stock photo, and then digitally composed in it's place.